I have chosen a tricky title. 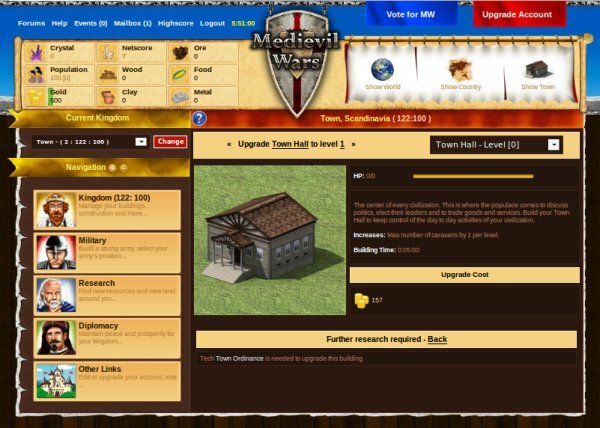 Online games are available for anyone using a modern browser, be they Windows, Linux, Mac, BSD, or Solaris users. All that is required is either a Flash Player or the Java plugin, so if you have those, you can start enjoying online games instantly. Still, good games are hard to find. Type in "free games" into a search engine box and you'll get tens of millions of entries, each offering great, free games. The problem is, there can only be so many great games. And which sites should you go to? How do you separate high-quality content from spam, promotion and trickstery? Which sites are safe for children? What about privacy and safety? Eventually, you will settle down for a handful of sites, but the quest can be long and tedious. Well, let me help you. You will notice some of the games are old news, so to speak, meaning I have already mentioned them across the span of numerous gaming compilations. But if you're not in a mood of reading through long reviews, there's this article to get you started. Here, you will find the the most interesting, the most colorful, the most intriguing, the most challenging online games and gaming sites, according to Dedoimedo gospel. Have fun! This online repository contains a huge number of Flash games. Not surprisingly, some are trivial and boring. But some of the games are really fun to play, addictive, well done, with reasonable visual detail and complexity. 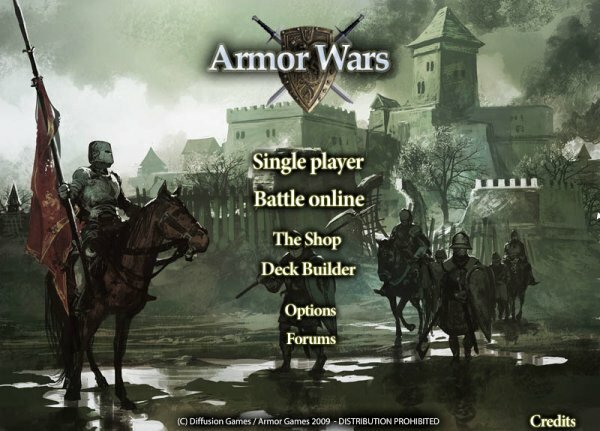 Armor Games offers dozens of titles across a range of categories. While I must admit I have played only a small selection for a brief period, I was impressed by the quality of content offered. I truly believe you can find plenty of useful games and gamelets that should amuse you for quite a while. 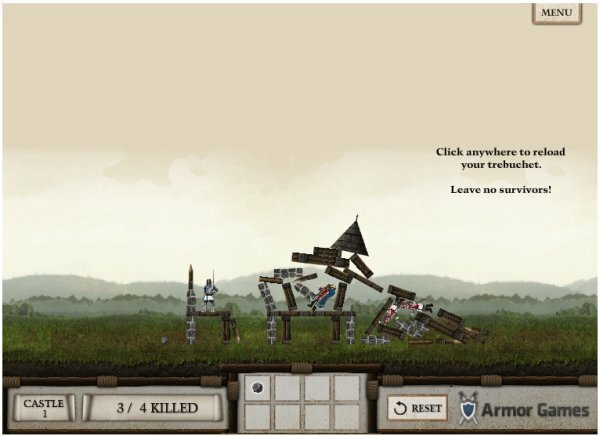 One of my favorites is Crush The Castle, where you command a trebuchet and hurl missiles against a Lego-style castle. You have a limited number of trials. The castle is populated with medieval-looking figurines of nobility and soldiers, who make funny noises and splatter oh-so-graphically when you bring down a house of rocks onto their heads, alongside decent music and funny sound effects. Another two interesting games I've tried are the Arrow of Time and Armor Wars. 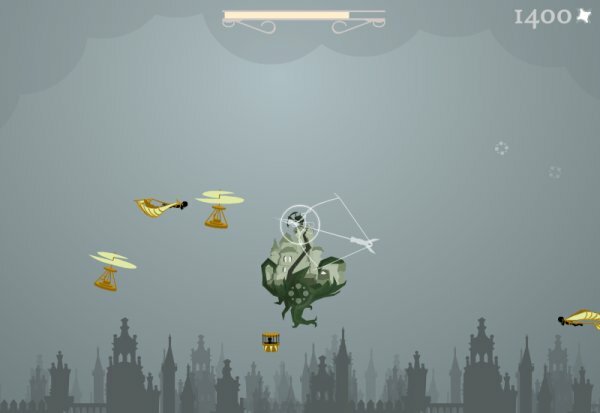 The first game is about defending your floating castle against all manner of flying thingies, all of which look like retro-futuristic spawnlings from H. G. Wells' science fiction stories. What makes the game interesting is, once again, the physics. Firing arrows against the enemy takes two forms of skill - aim and strength. Use too little strength when nocking the bow and the arrows will undershoot; use too much and they will lob. Similarly, the enemy objects are only vulnerable when you hit their wings or propellers, making the whole thing more interesting. In general, I dislike the 2D shooters, but Arrow of Time is an exception. It is far from being predictable as most games of this genre are, the music is soft and psychotic and you can actually enjoy the simple click-and-drag mouse motions. Then, another piece that draws the eyes is the Armor Wars. Yes, I know I'm a bit genre-ic when it comes to choosing the games I like. Either way, the opening menu of this little game gives you an indication of what you should expect from it. Solid graphics, attention to details - and multiplayer mode, which makes it all the more interesting. Armor Games is listed on my Greatest sites page. Armor Games has been reviewed in my Another superb collection gaming article. If I told you that you can have tremendous fun by playing a game which whole purpose is to get a ball from point A to point B using jump movements and a pencil-sketch-like, mouse-drawn, freestyle obstacle/ramp, you would probably roundhouse kick me in the gut. Seriously, Scriball is an addictive, surprisingly witty game. It somewhat reminds me of Phun, which we talked about in the second mega-collection called More about Linux games - Part 5. Despite modest, seemingly disappointing graphics, the game has a clever physics engine that offers simply stunning results. Your mouse can do anything basically. While the ball can jump up and down, you can draw any sort of a line for the ball to use to accelerate, decelerate, slow, divert, or change its motion, on its way to point B. Take a look at the screenshot below: the curvy thingie upon which the ball rest is something I drew. Jump the ball and then sketch another line. The ball will obey the laws of gravity. 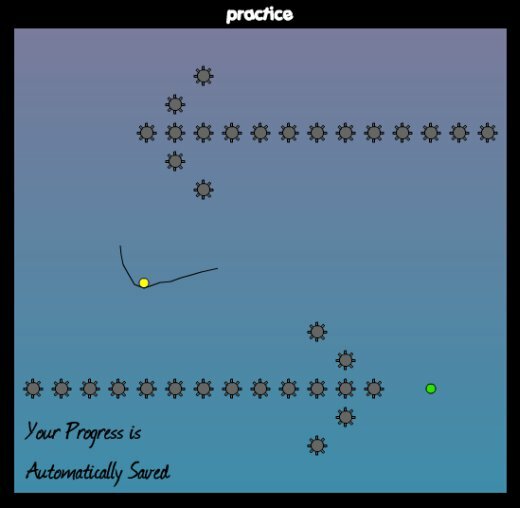 Very smart, very simple, very addictive. Note: Scriball has been reviewed in my sixth gaming article. 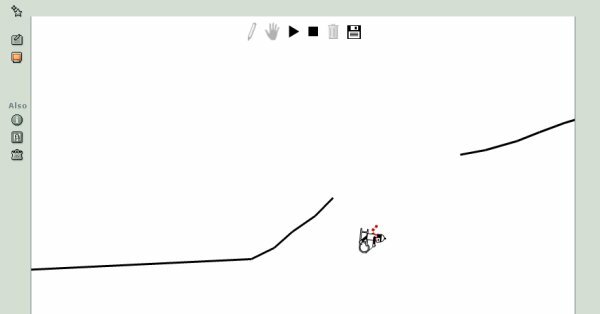 Line Rider takes the Scriball doctrine to a whole new level. Instead of moving a nameless ball around, you draw a bobsled-like line course for your rider. The rider will begin on the leftmost edge of your sketch and then follow the course, limited by nothing more than gravity. The best part, you are not limited by the screen size. The course can extend virtually without any limits. You can find lots of Youtube movies, showing impressive Line Rider projects, where people have managed to keep their rider going for minutes on end, performing mind-boggling stunts, including somersaults, leaps and whatnot. One of the best demonstrations is the Jagged Peak Adventure. Simply amazing. Note: Line Rider has been reviewed in my sixth gaming article. Douglas Adams was more than just a great writer and an ex-Monty Python-ist. He was also a very talented geek. 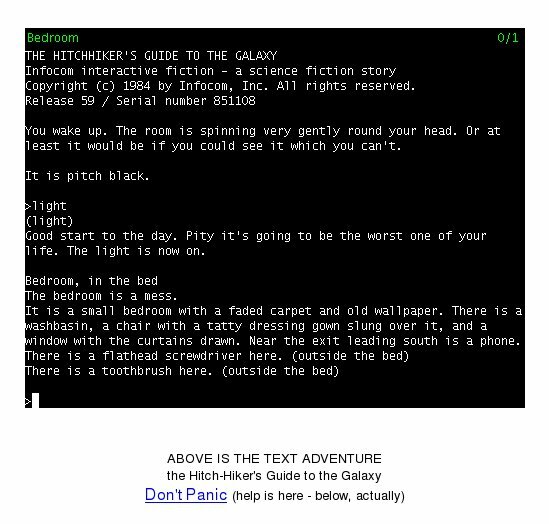 In addition to writing, Douglas Adams created several computer games, including a namesake title, where you play the slightly Plonkerous Arthur Dent in his quest across the Universe. P.S. If you're wondering who Arthur Dent might be, you should definitely read the book. The game is text-only. In other words, there are no graphics! You use text commands to street Arthur into the adventure. This may shock the younger generations born with some sort of MP3 thingie connected to their umbilical, but it's awesome fun, once you get into it. The original game has been rewritten in Java, so it will run inside your Web browser. If you've ever wondered why you should keep Java installed on your machine, here's the one good reason. There's also a Flash version available, if you want. You'll find the instructions how to play the game on the website. Note: The Hitchhiker's Guide to the Galaxy has been reviewed in my fifth gaming compilation. 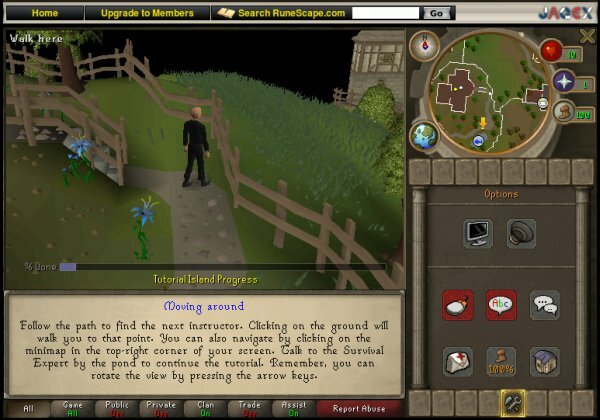 RuneScape takes place in the world of Gielinor, a medieval fantasy realm divided into several different kingdoms, regions, and cities. 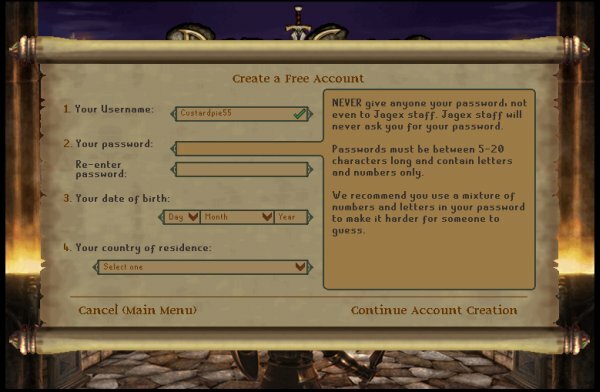 Players can travel throughout Gielinor on foot, through use of magical teleportation spells and devices, and via numerous other methods, such as charter ships. Each region offers different types of monsters, resources, and quests to challenge players. You begin by creating your account online and customizing your character to your liking. Since the game is quite rich and complex, you begin with a tutorial. The tutorial helps you familiarize with the camera views, how to move and the basic interaction with the world. After mastering this first step, you will learn how to make your living in the fantasy world, collect items, build your skills, and fight opponents. P.S. 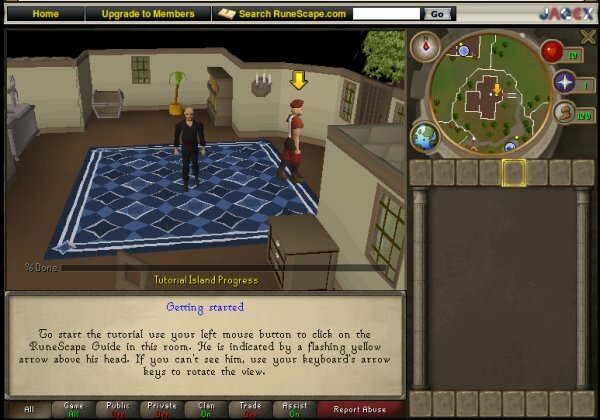 RuneScape has more than 10 million users, which makes it the most popular free MMORPG around. Note: Shown in my eighth compilation, sorry for recycling. 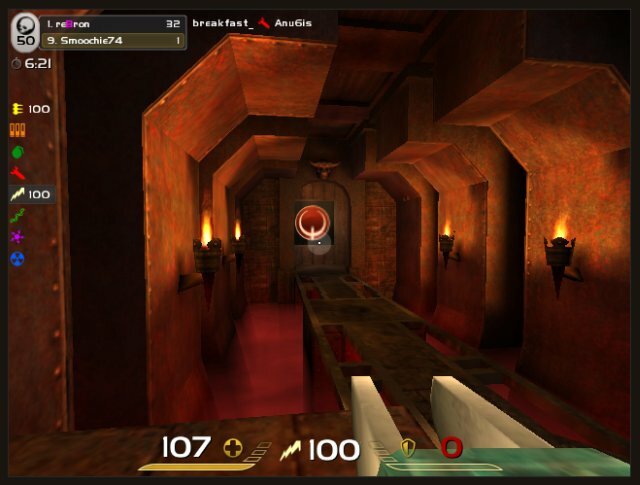 Quake Live is a First Person Shooter game, very similar to many other Quake-based variants, an extremely popular and successful franchise of games developed by id Software. 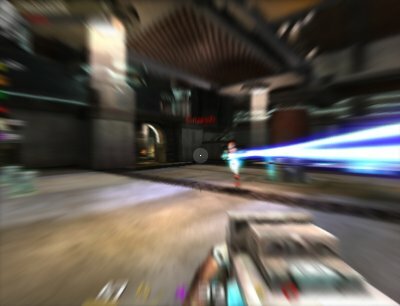 In fact, many Linux First Person Shooters are based on a variety of game engines, released as open-source by this company. No need to manually download and install anything. The game is entirely handled by a simple browser plugin. You can play your game anywhere, at home, at work, at the airport, on Windows, Linux and Mac machines, using Firefox, Internet Explorer or Safari. Login to Quake Live website and play. The game is very similar to classic Quake-like shooters, like OpenArena or AlienArena. You fight in maze-like levels, with tons of fancy futuristic weapons, health packs and armor, transportation portals, jump pads, and whatnot. 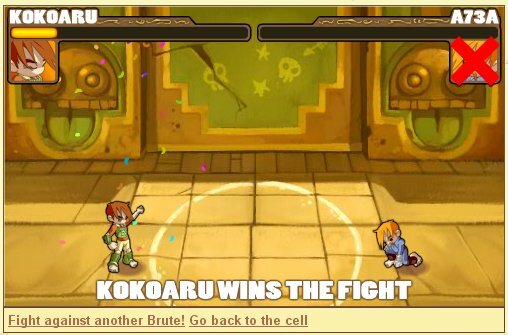 You can fight against humans or bots. It's fast-paced and a whole load of fun. Note: See my full review for more details. A few good ones but not as great as titles above. 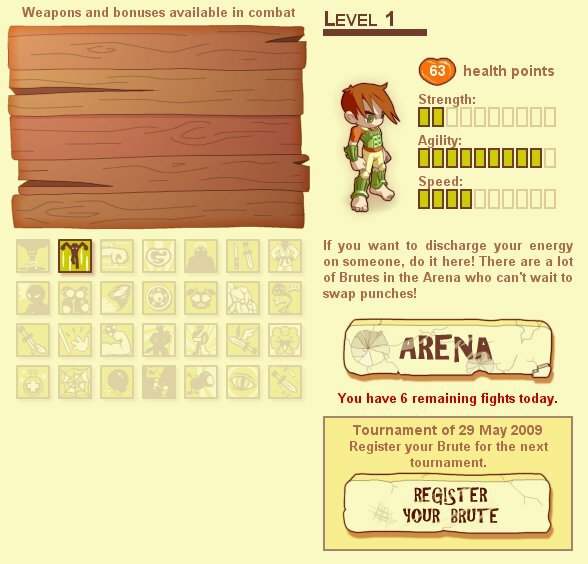 Miniclips is another large online repository of Flash games, similar to Armor Games. Again, the quantity and quality of content will vary, depending on your taste. 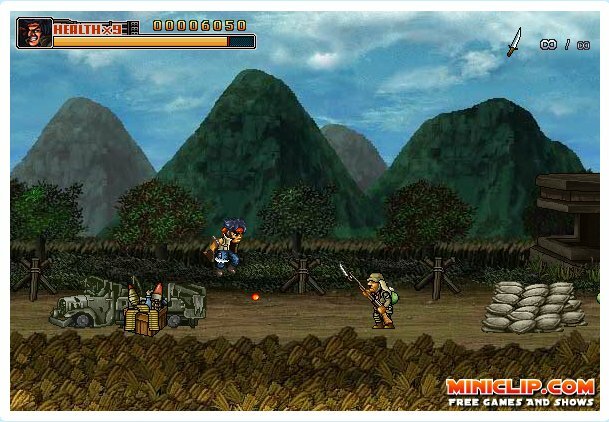 But it is quite likely you will stumble across a few worthy candidates, like the Commando game shown below. The most popular games are a good indicator of where to start looking. My thanks go to Gaeko for showing me this game. Note: Miniclips has been reviewed in my gaming howto article. This is a very simple, no-nonsense game with a few twists of its own. You own a Brute, who has a number of fights each day. 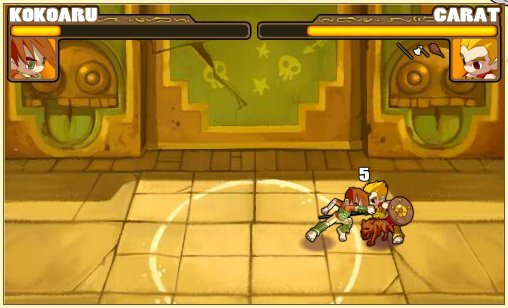 The fights are fully automated and depend on the level of your character. When you win, you gain points, allowing you to advance in levels and buy additional weapons and bonuses that should help you in your future fights. The game has no point except the pure joy of watching cartoon-like characters contents in a Mortal Kombat style arena. Nevertheless, it is quite addictive in a sick, perverse sort of a way. Not suitable for children, mind. Note: My Brute has been reviewed in my gaming howto article. 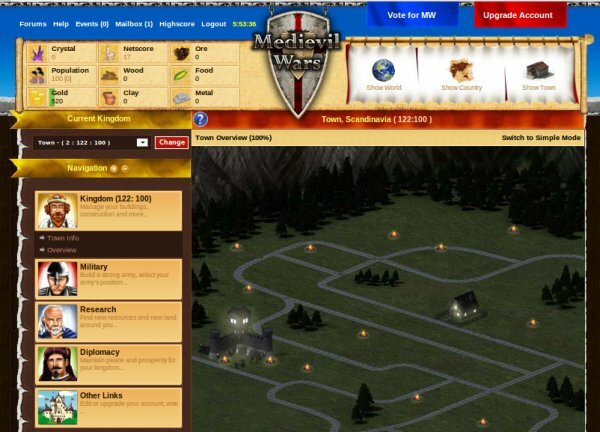 MedievilWars is a fun game that takes the concept of a classic strategy online. It takes patience, because upgrades and research take many minutes to complete, but if you're keen on pitting your wit and power against human players worldwide, you will enjoy the challenge. The idea is refreshing and the execution cozy and cute. For people who like strategy, with a twist, this seems like a very nice choice. Note: Reviewed in my ninth gaming compilation. 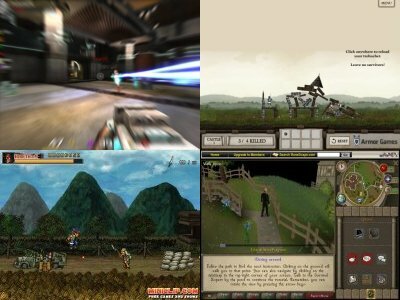 You may also be interested in my entire Linux gaming section (100+ titles reviewed). Specifically, you may want to know how to configure Flash and Java plugins. I browsed the web a little to see if anyone else has written a similar piece. Very few worthy finds, mind. All right, that would be all. If you've read all my gaming articles, most of the stuff written here is not really new. Furthermore, some of the reviewed titles are actually large game repositories, where you will find hundreds of cute games to play. Others are usually more complex standalone games, with in-depth plot and long gameplay. For example, you can RuneScape longer than you can WoW. The collection is fine-tuned to my own tastes and whims, so you may not like it all, but I think my best of the best list is fairly fair. It has a bit of everything, from classic first person shooters via artillery practice to solid British humor in ASCII. In between, you have some online roleplaying, arcade fighting, puzzles, physics, just take your pick. I honestly believe you'll find a suitable game for just about anyone and anywhere. If you have other suggestions, feel free to forward them using electronic mail.